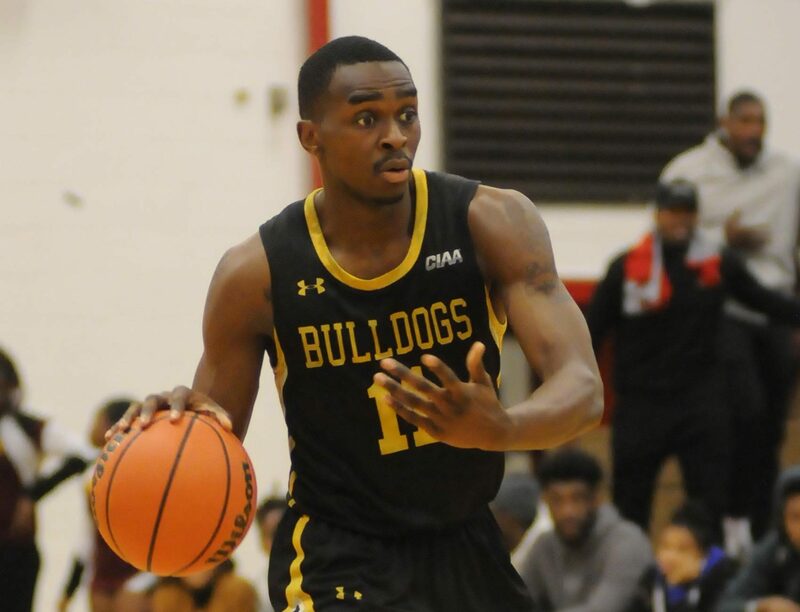 Bowie State men and women’s basketball traveled up to Lincoln and left with respective wins in divisional play on Saturday. It gets personal and heated when you face a member of your division, so who doesn’t love a good rematch? On Saturday, it was Lincoln’s turn to host Bowie State in the CIAA’s northern-most school battle. BSU’s men and women had two different games, but both went home to Maryland with their third division wins. In women’s hoops, the Lady Bulldogs were looking for redemption after having their win-streak end at the hands of the Lady Lions. LUPA outscored BSU 13-10 in the first quarter and the two went into halftime tied at 26. The Lady Bulldogs came out the half and showed why they have the best defense in D2 women’s hoops. In the third, Lincoln made a jumper with 9:46 left and disappeared the remainder of the quarter. BSU held LUPA to two points and put up 19, highlighted by three straight shots beyond the arc from Drew Calhoun. The Lady Bulldogs ended the quarter up 45-28. LUPA was narrowly outscored 12-11 in the final quarter but fell short due to the third quarter performance. Bowie took the 57-39 road win and is now 18-4 overall, 10-3 in conference play and 3-3 in division play. Kyaja Williams and Drew Calhoun both led BSU with 11 points. LUPA and BSU battled through regulation with 10 ties and 14 lead changes. The lead ping-ponged for the first six minutes and tied for a fifth time at 24 with 8:31 left in the first half. Lincoln went on a 16-6 run to take the 40-30 lead, its biggest of the game, with 2:26 remaining in the first half. BSU went into halftime trailing LUPA 40-36. The lead changes continued in the the second half with neither team leading by more than four points. Tied at 61, Lincoln made a three and went up 64-61 with 8:12 left. LUPA did not give up its lead for over six minutes. In the last three minutes of regulation, however, BSU stepped up big when needed and outscored LUPA 9-2. BSU’s Cameron Hayes cashed a three-pointer tying the game at 76 with 1:45 remaining. LUPA made a layup with 38 seconds left to take the 78-76 lead, but BSU was not ready to go home. David Belle cashed a three-pointer with six seconds left to lift Bowie up over LUPA for the 79-78 nail-biter road win. Four Bulldogs finished in double figures. Rinardo Perry led with 16 points, Cameron Hayes followed with 12, Saiquan Jamison contributed 11 and Yohance Fleming closed it out with 10 points. Heartbreaker at home for Lincoln. Both the Bulldogs and Lady Bulldogs are in third place in the northern division and on two-game win streaks. BSU will continue its redemption tour and travel to face Virginia Union on Wednesday, February 13. VUU swept BSU in its first match-up of the season on January 23. Tip-off is 5:30 PM in Barco-Stevens Hall.